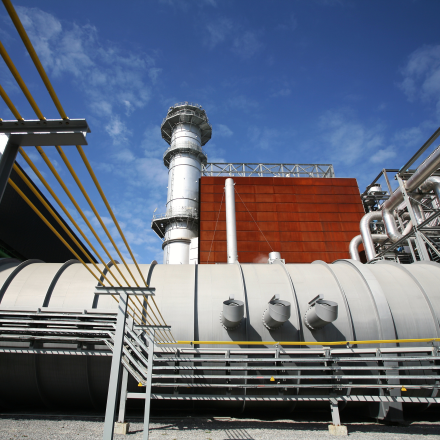 Bizkaia Energia SLU is the owner of the Amorebieta combined cycle gas turbine (CCGT) generation plant. Currently Bizkaia Energia is owned by Arclight Capital Partners LLC, a US company specialising in investments in the energy sector. 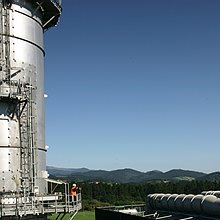 Following the liberalisation of the electrical sector in 1997 (under law 54/1997 November 27), Bizkaia Energia was set up in 1998 to develop a project for the development and operation of a combined cycle power plant. Construction began in February 2003. Following a 30 month construction programme, the plant began commercial operation in August 2005. Bizkaia Facility Management España (BFM) is the operations and maintenance (O&M) service provider for Bizkaia Energia. The team of 40 bring a wealth of experience and know-how to the business having previously worked for the international business of the Irish Electrical Utility ESB. The O&M of the plant is certified against standards for quality, environment, safety and asset management, ISO 9001:2015, ISO 14001:2015, OHSAS 18001:2007 and ISO 55001:2015 respectively.